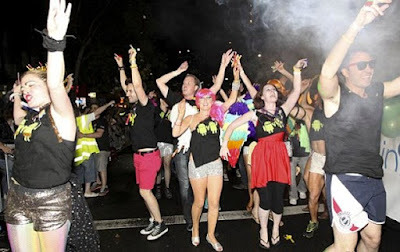 This year, a group of Googlers joined hundreds of others in marching (and dancing) along Oxford and Flinders Streets as part of the 2011 Sydney Gay & Lesbian Mardi Gras. 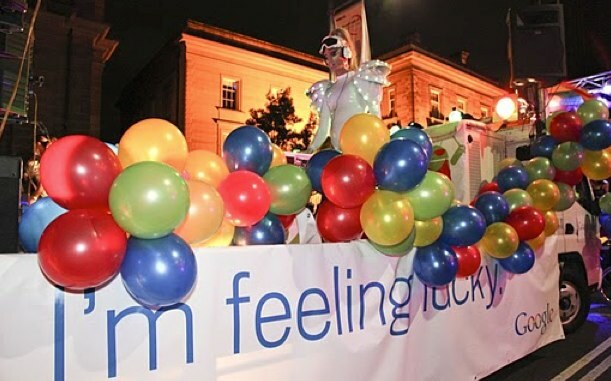 It was the first time we’d had a float in the parade, and the first time we had been a major sponsor of the Mardi Gras Festival. We also presented a panel session on workplace diversity at Queer Thinking, and joined 70,000-odd picnickers at the Mardi Gras Fair Day. Google is a company that supports its LGBT employees, taking a public stand on issues that are important to our community. This is not the first year that Google has been involved in major LGBT events, and it will certainly not be the last. We're already looking forward to next year's festival! Posted by Verne Smith, Mardi Gras Coordinator, Google Australia & New Zealand. We were in the mood for dancing. Along with a lot of other people!